Prolific filmmaker Woody Allen has unveiled details regarding the cast of his new, as-yet-untitled feature film, which is due to begin filming in New York and Los Angeles later this month ahead of a 2016 release. Headlining the project are Kristen Stewart, Ant-Man and House of Cards star Corey Stoll along with industry veteran Bruce Willis. They will be joined by Jeannie Berlin, Batman V Superman: Dawn of Justice star Jesse Eisenberg, Blake Lively, Parker Posey and Ken Stott. Co-stars include Anna Camp, Stephen Kunken, Sari Lennick and Paul Schneider. Reuniting with his regular producers, Allen’s latest directorial effort will be overseen by Letty Aronson, Steve Tenenbaum and Edward Walson. Shrouded in a mystery that has become synonymous with the esteemed director, there’s little-to-no information about the film itself. 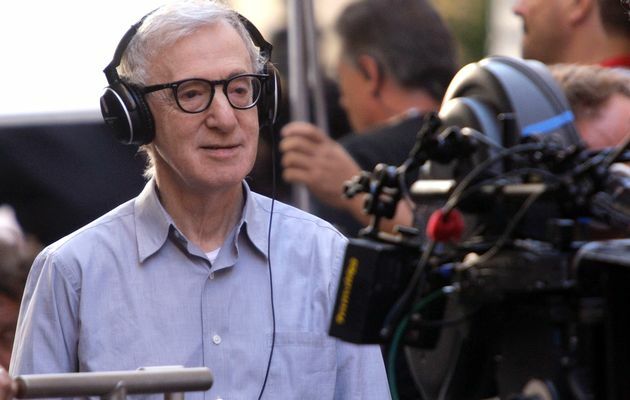 What we do know is that the 2016 release will mark Woody Allen’s first return to Los Angeles with a camera in hand since LA played host to his beloved rom-com, Annie Hall. As a matter of fact, at least in terms of location, the filmmaker’s nascent project holds similarities to the 1977 classic, which is held up by many as one of the best films shot in the Big Apple. Without a title or even genre to call its own, all we know is that Woody Allen‘s new feature will begin shooting later this month in New York and Los Angeles. In the meantime, you can share your thoughts about the ensemble cast in the comments.